The fabric for these old/new pieces began life as unadorned cloths, sacks, rugs & covers which over the years have become stained or torn. They are collected, cleaned & redefined into wholly new works called “Kirkyama” or “Patchwork” And so these unwanted fragments transform to fit perfectly with today’s modern design concepts. 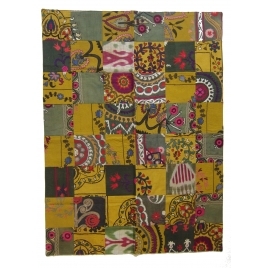 This beautiful quilt is in glorious yellows & greens. 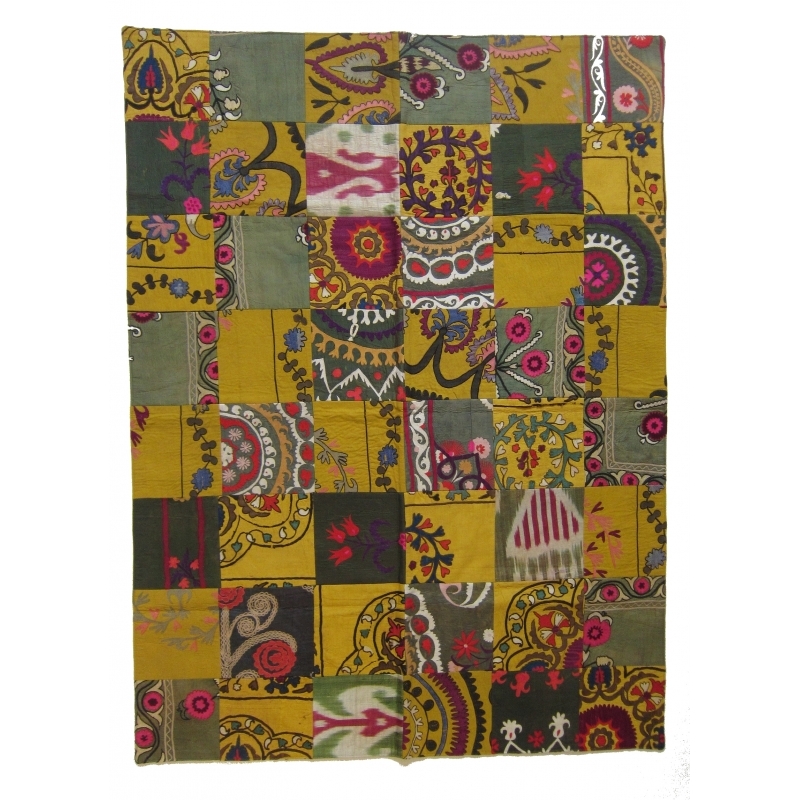 It has been created from old suzani fragments. It lies flat and is backed with beige cotton twill.